The Peoples Democratic Party (PDP) in Benue State is leaving no stone unturned ahead of the March 23 rerun elections in the state as it has announced names of its polling agents and returning officers. The Independent National Electoral Commission had announced March 23 for the supplementary election. 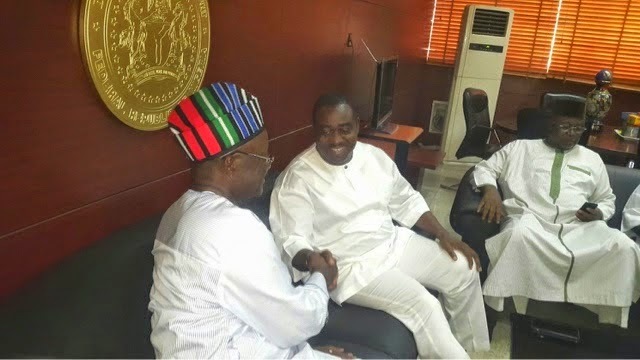 Benue is among the six states where the electoral commission said rerun governorship election will hold on March 23. Other states in this category are Kano, Adamawa, Bauchi, Sokoto and Plateau. Ortom, in the first election, scored 410,576 votes while the governorship candidate of the All Progressives Congress, Emmanuel Jime, got 329,022 votes. The Returning Officer, Prof. Sebastian Maimako, who declared the election inconclusive, said that 121, 011votes were cancelled. The list of the party’s polling agents and returning officers, which our correspondents sighted on Thursday, was said to have been forwarded to INEC. Topping the list of the party agents are a former Senate President, David Mark, immediate past governor of the state, Gabriel Suswam, erstwhile Minister of Interior, Abba Moro and Governor Samuel Ortom. Others are a former Director General of the National Agency for Foods and Drug Administration and Control, Dr Paul Orhii, Speaker of the Benue State House of Assembly, Titus Uba and the Secretary to the State Government, Tony Ijohor (SAN). Also on the list are the state chairman of the PDP, John Ngbede, the state Attorney-General, Michael Gusa, the National Auditor of the party, Agbo Emmanuel, Mike Mku, Frank Utoo, Dr Elijah Ikpaor, Prof. Tor Iorapuu, Steven Iyorchir, Mark Gbillah, Dave Iorhemba, Tyorkyan Cletus, Orker Jev, Bemgba Iortyom, Matthew Nyinta, David Tsevedo, Cyril Gajir and Tersegu Tsegba. The returning officers, according to the list signed by the state party Publicity Secretary, Bemgbar Iortyom , are Senator Dino Melaye and former Attorney-General of the state, Alex Adum. When contacted to speak on the list, Iortyom declined. Also, the Information Officer of INEC in the state, Andya Terkaa, said he could not confirm the report, adding that such information was not meant for the public. “I cannot say for now whether the PDP has brought names of their party agents for the rerun election or not. If at all, they have brought it, such thing is not for the public,” Terkaa said.